It’s a great pleasure to be here with you and bring a message of health (for the body and for the soul), plus a message of hope in a better world, with more beauty, peace, harmony, happiness and enjoyment. Sounds almost like a Church prayer, a Mosque sermon or a Buddhist preach. Every good Catholic, every Christian priest would say the same thing, and every Muezzin would mention the same story, every Buddha monk would use the same nice expressions, and every New-Age member would be tuned along the same line. It is quite fashionable and trendy to refill your mouth with words as wellbeing, spirituality, ecology, freedom, nature, love, friendship and so on. But, in order to understand if such words are really meant, and genuine, and honest, we have got to understand which mouth they come from, and we have got to know about any hidden interest behind them. When Al Gore talks about climate change, I have very little trust. When Bill Gates talks about measures to contain disease and poverty I have zero trust, when Henry Kissinger talks about new steps to develop the planet I feel disgusted, knowing the plans he, and the NWO (New World Order), have in mind. My name is Valdo Vaccaro, I come from Italy, and I give you the warranty and the proof that there is no power, no political party, no country, no church, no Masonic sect, no Zionist group, no economic interest behind this initiative. We are here for a pure cultural mission in favour of Veganism and of Natural Hygiene. I’ve been vegetarian since I was a kid, becoming vegan and almost-rawist in the last thirty years. Pranic and solar breatharian, but also eater of healthy, vital and magnetized foods, as nature has equipped us not casually by a gastrointestinal system. In the ‘80s I had the pleasure to reside in Singapore and play soccer in the local Premier League. It lasted four years and I retain a great memory of close friends as the great Rajagopal (Raja), as the nationals Lim Tan Boon and Au-Yong Pak Huang, Ravi Krishnan, and many others, playing with me in teams as Changi Con and Cairnhill. At that time, the Singapore team was able to beat 3-1 Germany, fresh winner of the World Cup, with players as Breittner, Rummenigge, Beckenbauer, etc, in a memorable game at the National Stadium. It was non rare that I made excellent scores as well, that I jump higher and run faster than opponents twenty years younger than me, as I was over forty. Playing soccer for me was not only a form of pure amusement, but also a test. I liked to proof to myself, and to anybody interested in the physical-spiritual wellness, something very important. I liked to proof that force, efficiency, resistance, agility, psycho-physical good-shape, do not come absolutely from meat and from animal proteins, but mostly from fruit, vegetables, almonds, nuts, from various seeds, from roots, sprouts and whole cereals. At that time, Singapore was a young Republic, with less people, less luxuries and less high buildings. I was here when the 25th Singapore Anniversary was celebrated. At that time Singaporeans were definitely thinner and in better conditions of health. The promotions and the campaigns in favour of meat and milk had not yet landed. The aggressive slogans as “Australian beef makes your muscle strong”, or “Enjoy life with refreshing Coke at McDonald’s”, had not yet been placed on all Singaporean buses, and had not yet conquered the new generations, causing them the terrible pathologies and the today’s obscene obesities. Today, luckily, there is still beautiful people circulating in Singapore, but we know too well that too many people are suffering with diabetes, cancer and kidney dialysis. I still remember the winning challenge with a dear Chinese-Indonesian friend as John Phan, in a memorable durian-contest, with 11 fruits eaten against his 7 and a half, on a Sunday and sunny day on a Malaysian beach. The day after, I called him on the phone. His wife Mary told me that he was sick on bed, with high fever. He remained in those conditions for an entire week, while the very same day of Monday, I had other 4 durians. “Valdo, you are terrible, he cried”. “Do you know that I had never lost a single challenge in my life, both in Singapore and in Indonesia?”. “Come on John, take it easy. You remain an unbeaten champ. The history repeats itself again and again. Let me remind you that, in the ancient times, Rome, the centre of the world, stayed 700 years healthy, strong, powerful and happy in a magic disease-free situation, without one single medical doctor around, as medicine was totally banned, illegal, forbidden, and medical care was considered a crime. Anybody doing cures went immediately to jail. No surgeons, no homeopaths, no hospitals, no pharmacies, no poisoneries (farmakon in Greek language means exactly poison), no synthetic vitamins, no mineral integrators, no reinforced or vitaminized drinks and foods. The only emergency interventions were made to the injured soldiers by the bandage assistants. Catone the Censor and the great emperor, and hygiene writer, Marco Aurelio, tell us that fruit, sun, physical exercise, thermal activities, and in particular raw cabbage, were the symbols of the extraordinary Roman health. Thirty years ago, in line with Natural Hygiene and Pythagoras, with Hippocrates and Leonardo Da Vinci, with John Tilden and Herbert Shelton, I taught to all my friends in Italy and in Singapore that little proteins are needed for a healthier life, no more than about 20 grams per day (equivalent to an abundant salad bowl, a slice of melon and some seeds and nuts). Twenty grams only, and surely not 300 grams per day, as crazily proposed by FDA (Food and Drug Administration) and by diets as Atkins (Low-Crab), Sears (Zone), Agatson (South Beach), D’Adamo (Blood Groups), Montignac (Glicemic Index). And today the whole world agrees on the fact that every single gram of animal protein, in excess of 24-30 grams per day, becomes a negative biologic bomb inside human body, a spoiler of the blood pH balance, a dangerous acidifier, a calcium robber. 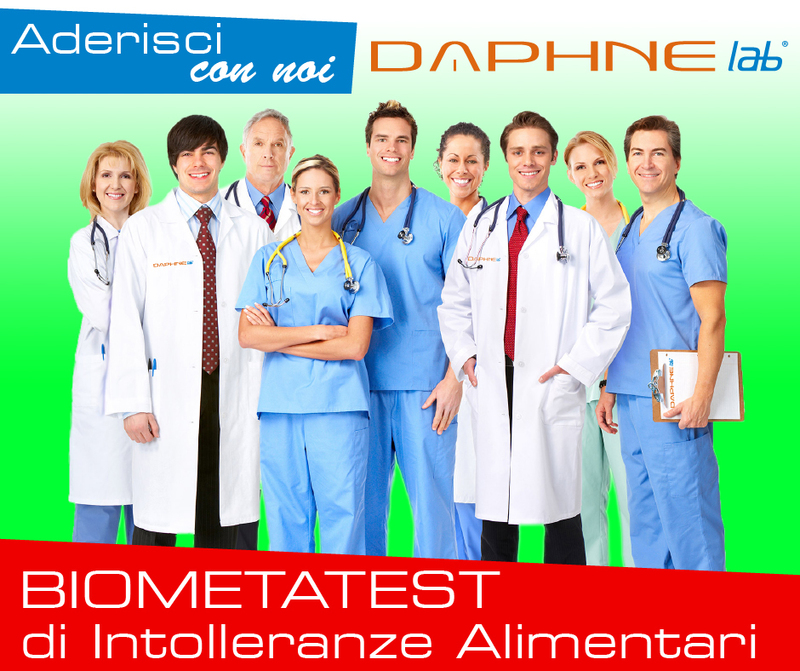 Today, the world gastroenterology knows very well that every single drop of cadaverine or corpsine, derived from an animal carcase, becomes factor of dysbiosis and intoxication, or a dangerous unbalance between anaerobic-putrefactive-dysbiotic (meat-derived) bacterial flora and saprofit-aerobic-symbiotic (plant-derived) bacterial flora. Even OMS, FAO, AMA (American Medical Association) agree on all this matter, today. Even Bill Clinton, new vegan entry, agrees on that. The disagreement was from Robert Atkins, Michel Montignac, David Servan-Schreiber and Carlo Cannella (Università La Sapienza-Rome), all badly disappeared. The famous 15 years of longer life acknowledged to vegan people by the world statistics. A present that many people are still incapable to pick up. Twenty and more years ago, I remember myself informing people that we were slave of a terroristic and manipulating regime. I was telling everybody that Aids was the most incredible medical invention of the human history. At that time, Singapore yellow taxis had an advertisement on their top: “Careful about your dinner companion”. A real Middle Age climate. I explained instead that there are no contagious diseases and that people should only learn how to keep relaxed and serene, how to keep clean inside and outside, avoiding to be captured by the daily terror launched by television channels, newspapers and governments about a pathology totally invented by CDC, one of the most corrupted sanitary institutions in the USA. zero embarrassment that Aids does not exist and that obviously cannot be transmitted, confirming in other words that all truths expressed and repeated by professor Peter Duesberg (Berkeley University) deserved full credit. This talk does not concern only Aids, but all bubonic and non-bubonic plagues, including in example herpes genitalis, papilloma virus, blennorrhoea, syphilis. Aids has not caused even one single death in the world. All figures published are nonsense. People has perished by extreme weakness and by immunity problems, by various pathologies wrongly labelled with the name of Aids. Nobody knows how many deaths have been caused by Azt, the terrible drug intended for curing Aids itself. How many suicides by the Aids terror instead? Thousand and thousand. The millions of African victims of Aids were all tested with Elisa system, and it gave Aids positive response to all malaria diseased fellows. And malaria is not Aids at all. But the terror is still with us. Fear makes lots of money and the big Aids foundations of Bill Gates and Bill Clinton are getting richer and richer. After having colonized and deceived The South East-Asia countries, the trick is now repeated with Vietnam, China and India. As long ad there are masses of misinformed and cheatable people, there they are. Nobody can stop them. Asian markets are very promising. You have got the big numbers there. I’ve got a web-site in English and Chinese, www.drvaldovaccaro.com.hk, plus two books as Natural Nutrition and Story of Natural Hygiene, plus over a thousand articles about being translated from Italian language. What is then my message to Singapore vegetarian population? Do not feel strange, do not feel discriminated, do not feel at the border of the society. We vegan are the real people, and we are at the centre of the world. We are the wise people, the people with clean blood and clean intestines. Humans around us are normally doing mistake over mistake, and they represent the critical and sore point, no matter if they are the large majority. It is not a question of manicheism, of division between good people and bad people. It is a simple matter of placing inside our human stomach the right food which allows us to live all, to live healthy without violence against nature, against the ambience and against other living creatures. We are obliged to help whoever has difficulties to reach the right track, but he should ask for it. We are designed as vegan and as rawist fellows. All of us are like that, independently from what we are placing on our plates. Our blood with an alkaline pH confirms this. The total lack of uricase enzyme to break off the uric acid of meat and fish (28-30 grams per 1 kg), should discourage people from eating meat and fish, to drink coffee and tea as well, should keep them away from these terrible poisons. Our long, narrow, spongy and complex intestinal tract, with 4,5 million villis that, thanks to many assimilating micro-pages, makes a total absorbing area of 400-600 square meters, equal to a couple of tennis courts, tell us to be vegan. Our immune system (200 lymphatic nodes along our gastrointestinal tract, ready to get alarmed with a leucocitosis reaction everytime we are consuming meat and wrong cooked food), asks us to be vegan. Our body, in state of perfect shape, releases 6500 Angstrom vibration waves on the Simoneton scale, with a body confirmation of red aura. The health seeker should never get his vitality lowered by foods with less than 6500 Angstrom. A) Fresh fruit (which releases infrared vibration recharges, near 10000 Angstrom). B) Raw vegetables (which release red vibration at 7500 Angstrom. C) Natural starchy food as starchy vegetables (cauliflowers, Bruxelles, broccoli, thistles, artichokes), as starchy roots (sweet potatoes, yams, normal potatoes, carrots, Jerusalem artichokes, beets, turnips, taro) and whole cereals cooked “al dente” after soaking them in water for few hours. All these natural stuff offer a quite good resistance to heat and the vibration force gets sometimes even higher than raw, with a intelligent cooking, and without peeling. Meat, overcooked and devitalized foods give a range of waves going from the 1700 Angstrom of cancer disease to the 3000 of flu situations, producing grey, black and X-ray waves, with greyish and sickening auras, transforming us in vitality vampires, in energy-absorbing black holes, stealing calories and magnetism to whoever we approach and touch. We have got then to be crudist, or better tendentially crudist or quasi-crudist (almost-crudist), with few simple compromises. We have seen that natural starch in potatoes, pop-corn, maize, cereals, chestnuts, water chestnuts, peanuts, legumes, resists pretty well to cooking, provided we do not exaggerate going over the limit of 100 °C (from 120°C on, we have the dangerous phenomenon of acrilamide formation), and provided we never use the disastrous and food-destroying microwave ovens. Same story with whole pasta and thin crusty little cooked pizzas, with lots of fresh vegetables on them. Some compromises are often necessary for social reasons and for caloric reasons, and certainly not for protein worries or micronutrient worries, as with any raw-vegan diet we have all the necessary components for health. We vegan have no weak points, but only special and ideal values, such as the one of B12 vitamin which is generally low, meaning that it is not a pathologic defect to be corrected, but an exceptional situation where we have got a very fluid and healthy blood. All we need to do is to eat often and well, satisfying our good appetite and our love for the delicious food, which can only be natural and pacific. At the end we will stay all in good health and free from any serious disease. Is anyhow all that sufficient to stay healthy and happy? The answer is no! We have got to go further and beyond. We have got to cultivate some motivations. We should study, understand, becoming more informed and updated. We should help children, oldies, and in particular the most innocent, unprotected, tormented and massacred creatures in the world, the animals. We have got to fight all the enemies of our planet. Fighting against the multinationals. Against the colas (one glass of cola, at a super-acid pH of 2.80, plus caffeine, sugar and phosphoric acid, needs 32 glasses of pure water at pH 7.00 in order to be neutralized). Against Monsanto, major world polluter, with round-up, OGMs and exclusive non-replicable seeds. Against Pfizer and Glaxo, and all Big Pharma giants, constantly involved in sickening the world population. Against fast food, cause of dietary misinformation and health disasters. We would never like to enter in political matters. But in our case it’s impossible avoiding it, since world institutions and governments are more and more involved in food, in drugs and in health and disease matters. The best method will be possibly the one of peaceful resistance and non-violence. We have got to fight against Bilderberg and Codex Alimentarius, against Bush and Clinton, against Obama and Gore, against Gates and Soros (the killer of Asian Tigers), against Rothschild and Gorbachev, against the Trilateral Commission (Brzezynsky, Kissinger and Rockefeller), against the triangle of power, a geometrical monster which goes from the Vatican (religious power), to City of London (gold power), to the District of Columbia (CIA, Pentagon and military power). with freedom, independence, nature, health, climate, animals. Professor Viktor Frankl, great Viennese neurologist, engaged against depression and suicide, and survivor from Auschwitz camp, has left to the world his formula for happiness. When the motivation M is high, it can equal the value of S, so that D becomes equal to zero, and zeroed despair means exactly happiness. It is fundamental giving motivation to our life. Not eating meat, in example, sounds as an important plan of life, a meaningful motivation. Eating more fruit represents a disobedience to the power which is pushing people far from fruit. Every step we make in defending weak and unprotected people, animals in particular, represents a step towards happiness and wellbeing, a step towards that kind of better world that all of us are looking for.